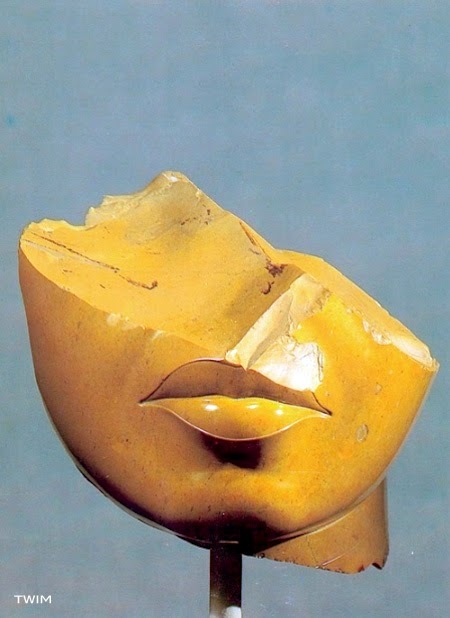 Fragment of the face of a queen. Ca. 1353-1336 B.C. Egypt. Yellow Jasper.